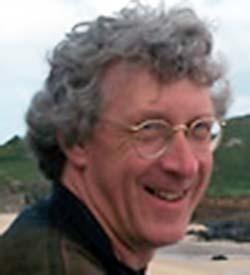 Dr Hew Prendergast trained in plant biology. He worked as a nature reserve warden and marine ornithologist before becoming the first Overseas Collector for the precursor of the Millennium Seed Bank at the Royal Botanic Gardens, Wakehurst Place. He then moved to Kew as leader of the Centre for Economic Botany. From 2003-2011 he ran Ashdown Forest and in 2013, after many years as a member of OART, was elected its Chairman. John is better known by his nickname “Sam”. Sam is a retired dental surgeon who has always had an interest in freshwater biology since he was at school. His primary interests are water chemistry and the study of freshwater invertebrates. He is involved in both the water testing and invertebrate monitoring activities of OART and is currently the Trust’s Vice Chairman. He is also Water Resources Officer for the Sussex Branch of the Salmon & Trout Association. 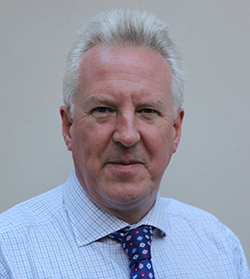 He has served on a number of advisory committees for the Environment Agency such as the Regional Fisheries Ecology and Recreation Committee and the steering group for the Catchment Abstraction Management Strategy. More recently he was Chairman of the East Sussex Internal Drainage Districts Steering Group. Philip is currently a Senior Director in Acoustics for RPS Planning and Environment, a multi-disciplinary international consultancy, where he manages a team of acoustics, noise and vibration consultants across the UK. Philip started his career as a geologist working on exploration oil and gas rigs – a perfect background to assist at OART with their water sampling analysis, which he has done for many years. He is a keen fisherman, conservationist and supports various local and international wildlife groups. 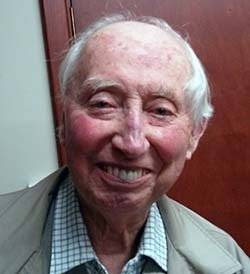 John retired as Office Manager for the National Bus Company (Southdown), subsequently he kept the books for a car auction and then a firm of civil engineering contractors. In 2007 John founded the River Adur Conservation Society, which has now merged with the Sussex Ouse Conservation Society to form the Ouse & Adur Rivers Trust (OART) a registered charity. 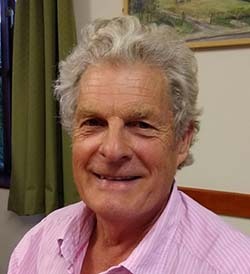 He is the Vice Chairman of Henfield & District Angling Society, a Trustee of the Arun & Rother Rivers Trust and has always lived in or within a few miles of Henfield. Dave is an environmental scientist and the retired head of a university unit, having previously worked in the environmental consultancy sector. He is the Vice-Chairman of the Rivers Trust, the national organisation which represents over 30 individual river trusts, and Hon. Secretary of the Ouse Angling Preservation Society. He set up and directed MSc programmes in the field of environmental management and has worked on numerous individual research and consultancy projects for clients including government departments, major industries (including the oil and gas sectors) and environmental organisations. While a general environmental scientist, with particular experience in fields of environmental impact assessment and environmental auditing, he has a strong interest in the aquatic environment and has worked in a professional capacity on many river systems. 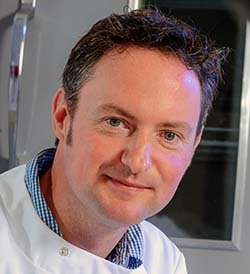 Dr James Ebdon is a Reader in Environmental Microbiology and a lecturer within the School of Environment and Technology at the University of Brighton. He has 15 years’ experience developing and applying novel, low-cost methods for determining sources of contamination in surface waters. He is also interested in safe water and sanitation provision in low-resource settings and has worked on water quality projects in Africa (UNICEF), India, and South America. 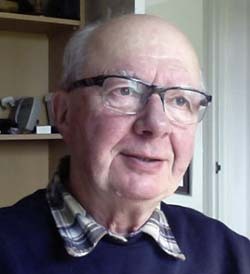 He has authored 33 publications, including 1 book chapter, 8 magazine/newspaper articles and has presented his work to academics, students, engineers, MPs, the general public and water professionals in 18 countries, including invitations from the US Environmental Protection Agency,the NOAA Oceans and Human Health Centers (Hawaii), State General Laboratory (Cyprus) and the UK Health Protection Agency (HPA). James is also a keen ornithologist, walker and kayaker. 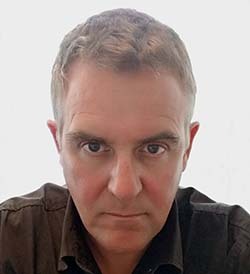 Simon is director of Lewes based technology company NTD Internet. He has been fascinated by rivers and streams and the natural life they support since he was a lad. He provides IT and business services for OART. He is an active member of the task force and also served as OART Pollution Officer. His leisure time is mostly spent managing his land in Barcombe for native wildlife and biodiversity. 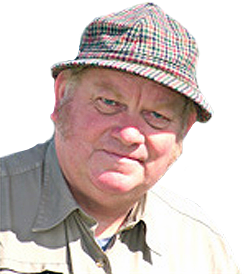 Mike is a lifelong resident of Lewes and a very keen angler which, combined, have seen him fish the River Ouse for over 50 years. This has led to Mike being passionate about the overall ecology of the river with a specific emphasis on water quality and working to make improvements through liaising with regulators and working with landowners. Over the past few years Mike has also taken on the role of Task Force Team Leader, enjoying the challenge of getting practical improvements implemented both in and out of the river channel. 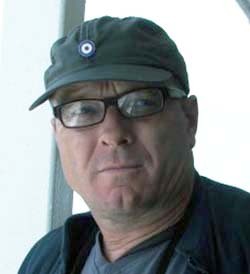 Jim Smith was a founder member of the Sussex Ouse Conservation Society, which then amalgamated with the River Adur Conservation Society to form OART. Jim spent the whole of his working life on the River Ouse and during his retirement has given his time to OART as its Field Officer and to the Ouse Angling Preservation Society as Head Bailiff. His knowledge of the river and its habitats is legendary. He also knows most of the riparian owners in the catchment and is greatly respected by all of them. 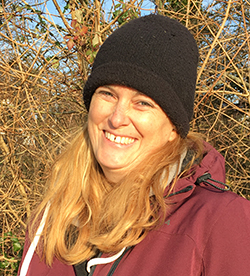 Alyson holds a BSc Hons Degree in Environmental Health from Kings College London and worked for 15 years as an Environmental Health Officer in Sussex. She works for Howdens Joinery as a Regional Safety Advisor and was membership co-ordinator for the London Health & Safety Group for 3 years. She has a passion for native wildlife and improving the local environment. Before gaining an MSc in Wildlife Biology & Conservation from Edinburgh Napier University Peter spent four years running a conservation programme on the South Africa/Botswana border co-ordinating a wide range of research projects. This was followed by a spell in Madagascar researching the effects of deforestation on lizard communities. 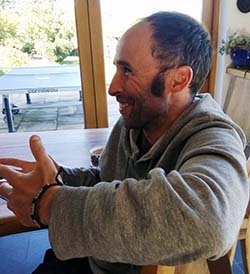 Having returned to the UK Peter began volunteering with the Sussex Wetland Landscape project with the Wildlife Trust and undertook various short term contracts with the Peoples Trust for Endangered Species (PTES) and the Wildlife Trust. Peter has also been heavily involved in the long term monitoring of water vole populations in the Arun valley and across the south east as a field assistant on a PhD research project. Outside of work Peter is the Chairman of the Sussex Amphibian & Reptile Group and committee member of the Sussex Mammal Group. 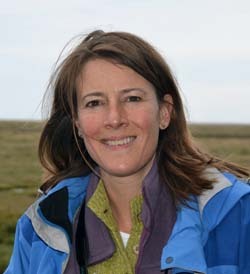 Rachel has a degree in Environmental Science and has worked for Norfolk and Sussex Wildlife Trusts. 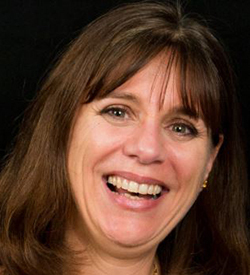 After completing an MSc in Marine Resource Management with Heriot Watt University, Orkney campus Linda moved to the Galapagos Islands, Ecuador where she continued her studies before taking a side step and opening a restaurant which she ran for 10+ years. On returning to the UK, Linda found work with The Ecology Consultancy and became an ecologist, specialising in bats. Since 2018, Linda has been volunteering with OART’s biological monitoring team.